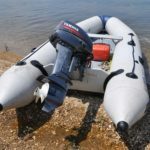 An Introduction to sailing over 5 evenings and includes Club membership for all the current season. Includes Thursday evenings From mid May (plus one Tuesday shore introduction). 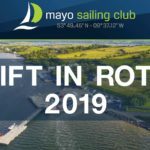 Thursdays are Mayo Sailing clubs sailing evening. You will be assigned to a sailing yacht under the supervision of the Skipper. 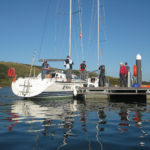 Yachts are various sizes from 23ft to over 40ft some are keen racers and other cruise Clew bay. Each week you will sail a different yacht to give a good overview of sailing. Afterwards you will gather in the clubhouse with other participants. A light meal is available (€5-10), the bar is open and the opportunity is there to chat to members of MSC who will be happy to answer any questions you may have and offer guidance on future sailing. Most participants continue to sail until the season end in October. Pat Aylward 0872634833 or info@mayosailingclub.com (TEXT or email Preferred) or complete the form below. NOTE: Participants must be 18 years of age by the commencement date of the course. 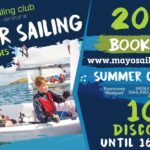 Persons under this age, wishing to try sailing in Mayo Sailing Club, should go to the Junior Sailing Section of this site. 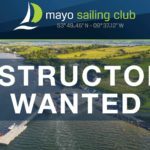 Please fill in the form below if interested in participating in the 2019 Mayo Sailing Club Try Sailing Course.